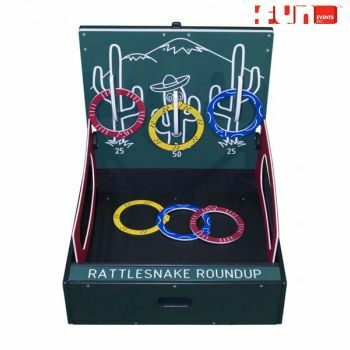 Player receives 3 hoops to toss at cactus peg target. Score points when you ring a cactus. Score 100 points and win 2nd Prize. Score 150 points and win 1st prize.